The bride to be! Your bachelorette party will be one to remember forever. 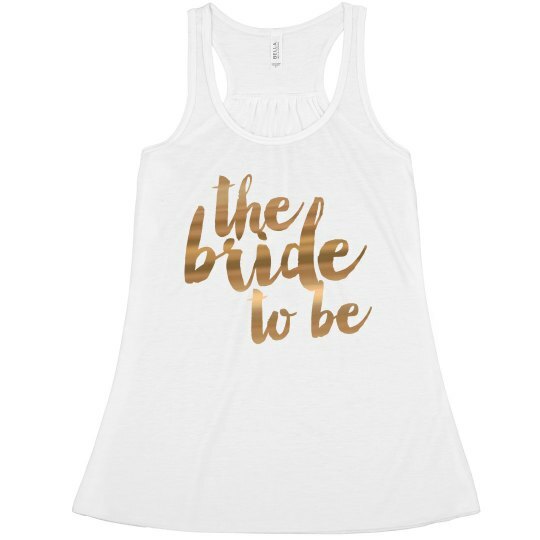 Get this cute flowy tank top with metallic text for your bash. 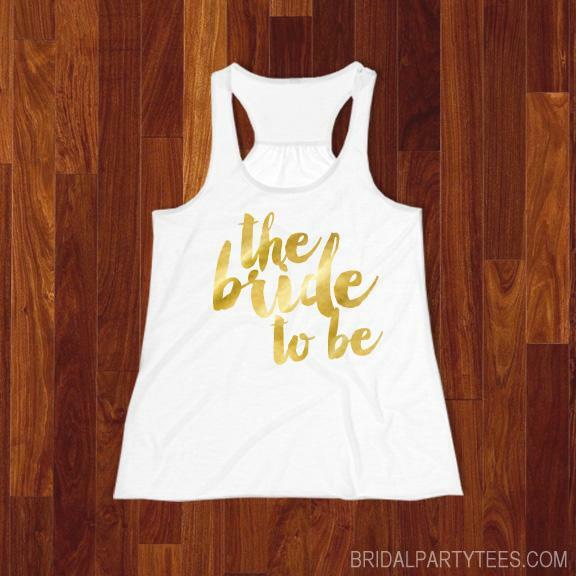 Or wear it anytime before the wedding.